[dropcap]F[/dropcap]or months, El Bolso has been trying to get me to do a GTKAU feature on Uruguayan tennis player Pablo Cuevas. I’ve been resisting until he reached a certain level of notoriety, but I guess I finally have to break down and do it. On Sunday, Cuevas defeated Italian international Luca Vanni in the finals of the 2015 Brazilian Open, which should leave him ranked 23rd in the world, which is the highest ranking ever earned by a Uruguayan player, surpassing Diego Perez, who was ranked 27th in 1984. Congratulations, Pablo… now let’s finally get to know you. Unlike any of our previous GTKAU candidates, Cuevas actually wasn’t born in Uruguay. The 29 year old was actually born across the Rio de la Plata, in Concordia, Argentina. Now normally, this would immediately disqualify someone from ever being mentioned on this blog, but I can’t blame the poor guy for the mistakes of his parents. Had I been in Argentina as my child was about to be born, I would have done all I could to have my kid be born in Uruguay instead, but who knows? Maybe their car broke down. Anyway, Pablo has since made up for the sins of those who came before him by moving back to Uruguay, so he’s forgiven. 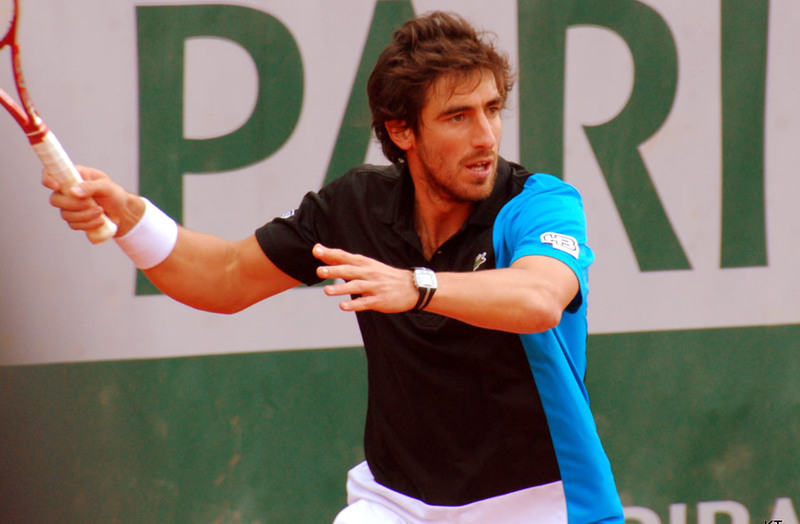 Cuevas has been all over the tennis landscape since turning pro in 2004, both as a singles player and a doubles player. Up until recently, his only trophy-winning success had come as the winner of the men’s doubles portion of the 2008 French Open with Peruvian international Luis Horna. The victory was the first Grand Slam title for a Uruguayan since Fiorella Bonicelli won the women’s doubles at the French Open in 1976. He was never really able to capitalize on that momentum, however. He didn’t win any singles or doubles tournaments at all over the next three seasons, and a terrible back injury suffered at Roland Garros on May 23, 2011, kept him out of action until April 16, 2013. It took Pablo a while to get his groove back after returning from the injured back, but he’s been on fire in the last calendar year or so. On February 16, 2014, he finished runner-up in the men’s doubles at the Copa Claro in Buenos Aires. On May 4, he finished runner-up again, this time in the doubles portion of the Portugal Open. Later that summer, he finally began having some solo success. In July, he won both the Swedish Open and the Croatia Open on clay. When he vanquished Vanni in three sets, 6-4, 3-6, 7-6(4), he became the first Uruguayan to win the Brazil Open, and pretty much cemented the fact that he could be a real player on the international scene. I can’t wait to see what other kind of damage he can do moving forward, assuming this post hasn’t just cursed him forever.